Once upon a time there was a little girl who loved to find snail shells in the yard. 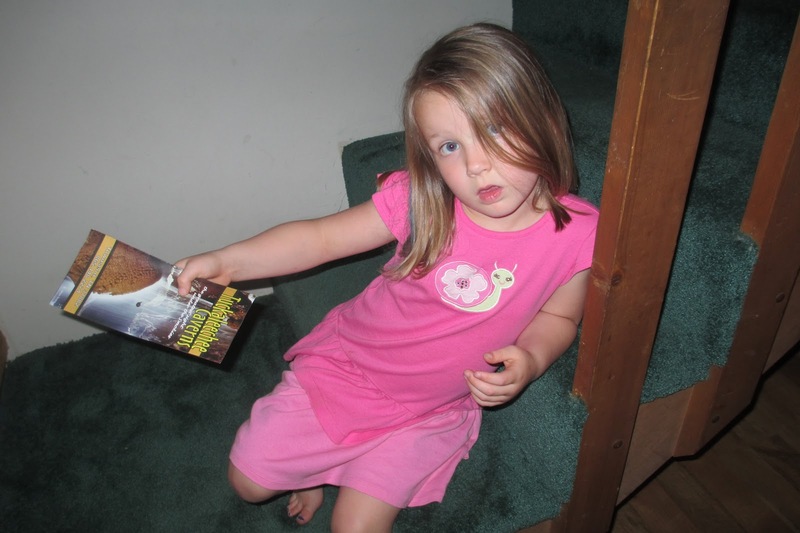 She had a knack for spotting them, and started a collection of the empty shells. 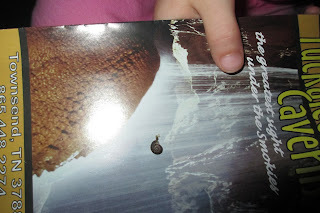 One day, while on vacation, she found a teeny tiny snail shell and showed her grandma. Who pointed out that the "baby" snail was still inside. So the little girl, with all the innocent love that little girls have, decided that this snail must be her pet. And so she named the snail "Shiny". And she loved Shiny, who was, apparently, a girl snail. She put Shiny on a piece of paper, and carried her around everywhere. She refused to put the snail down, because as we all know, babies need constant attention. see the dot on the brochure? that's the snail. But alas, eventually the girl needed to take a bath. So she left her beloved snail sitting on a table outside the cabin, under the careful eye of her grandpa. And totally forgot about the snail. As did just about everyone else. Except her mother, who wondered if it were really an accident that Grandpa "forgot" to bring the snail inside for the night. And the next morning, the little girl discovered that Shiny was gone. She had found her way home to her own mommy & daddy. I'm sure of it. That was too cute, as is your daughter!! I just stopped by from SITS to say hello; hope you find time to do the same.